The seven and seven (or 7 and 7) is one of those popular whiskey highballs that never goes out of style. 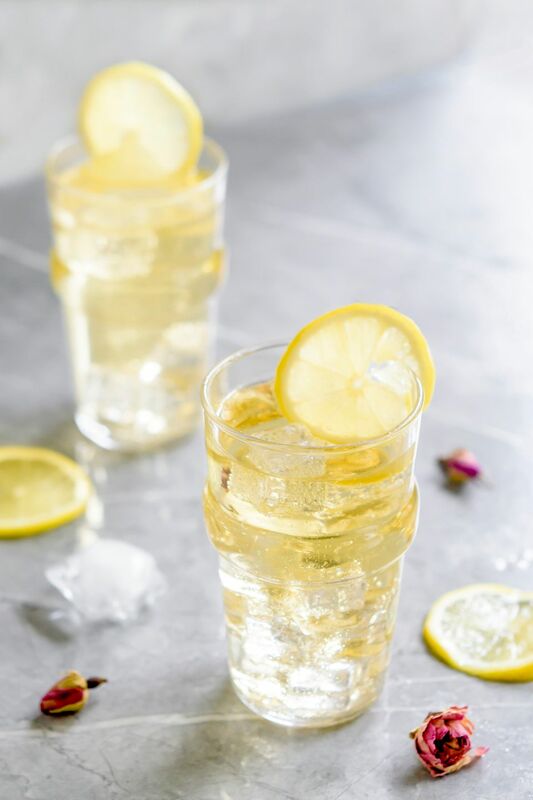 If you're looking for a cheap and refreshing drink for happy hour that is incredibly easy to mix up, then this is the recipe for you. It's a throwback drink that rose in popularity during the 70's when its signature whiskey was all the rage. Much like the Jack and Coke, the name tells you exactly what goes into it, so it's easy to remember. It is, quite simply, a shot of Seagram's 7 Crown Whiskey topped with 7-Up. There's no mystery, no fancy ingredients, and no substitutions or variations. When you order a seven and seven at the bar, this is what you'll get. While you may think it's too simple in today's world of complex cocktails, there is a certain appeal that keeps this vintage mixed drink in the shadowy spotlight of the bar. The combination of this particular "well" whiskey with a common lemon-lime soda is rather pleasant. It's as if they were made for one another. Whatever the reason, drinkers keep coming back for more and that is not likely to change. Pour the Seagram's 7 in a highball glass filled with ice. Ice cubes are good for almost all mixing: for shaking, stirring, drinks on the rocks, or with juices and sodas. The larger, thicker surface area makes a cube melt slowly and causes less dilution. It is customary to fill a glass or shaker 2/3 full for best results. But if you're looking for even slower dilution, try switching to larger cubes like those made in a King Cube mold. Seagram's 7 is a whiskey that you can find everywhere and with that red "7" emblazoned on the bottle, it's easy to spot. There are very few bars in the U.S. that do not have a bottle of Seagram's 7 and it is a reliable bottle that calls out to you from the cheap seats of the liquor store shelves. Part of Seagram's 7 appeal is that it is extremely cheap. It's not unheard of to find a "handle" (1.75 liters) for $16. This is a great deal when it comes to whiskey, especially when compared to the "fifth" (750 milliliters) which can sell for upwards of $13. If you are looking for a whiskey just for the sake of drinking whiskey, look down on the shelf for that red seven with a crown on its head. It will be there, that's a guarantee. Seagram's may not be the best whiskey out there, though it is still whiskey and it's really not as bad as some people say it is. Yes, there are plenty of whiskeys that outshine it, but it has many dedicated fans who savor every sip. It also does the job when you are looking for a good, inexpensive drink like the seven and seven. Yet, there is some mystery and debate about what style of whiskey it is. The confusion stems from the fact that Seagram's is an old Canadian brand. They have long produced whiskeys, vodkas, and gins at affordable prices. Pair that with the knowledge that Canada is known for producing blended whiskeys and many drinkers are left with the impression that Seagram's 7 is a Canadian blended whiskey. The truth is that Seagram's 7 is a blended whiskey but it is not a Canadian whiskey because it is not produced in Canada. The proof is right there on the bottle. The label clearly states "American whiskey – a blend of distinctive character" and that it is bottled and blended by The 7 Crown Distilling Company, Norwalk, CT. (40% ABV - 80 proof). How Strong Is the Seven and Seven? Everything about the Seven and Seven is laid out for us except how much 7-Up goes into the drink. For the sake of this example, let's go with 3 ounces in an ice-filled highball glass. In this instance, the finished drink would be a relatively mild 14 percent ABV (28 proof).